How can VR effectively support artistic work and create meaningful and immersive experiences? What is the role of technology in experiencing dance? A selected group of creators based their work and research on these questions. Come to Dansmakers to see the developments. This open Virtual Reality Lab is initiated by BeamLab, Cinedans Lab, creative designer Roy Gerritsen and Dansmakers Amsterdam. 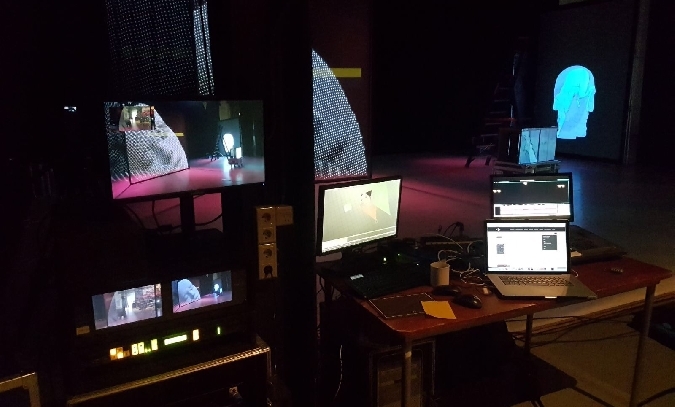 Acht dagen lang richt Performance Tech Lab zich op de ideeën van jonge artiesten en theatermakers en de audio-visuele realisatie ervan, een pilotoproject van Beamsystems en Likeminds in samenwerking met Dansmakers en Feikes Huis. Wil je graag deelnemen aan een van de volgende Labs, stuur uw curriculum vitae en concept naar stephane@beamsystems.nl. Tuesday 18 July between 11:00 -14:00 hrs BeamLab Performance Tech Lab final presentations. Come and see the results of the audio visual research and development of Fernando Belfiore, Noufri Bachdim, Sara van Nes, Igor Vrebac, Sabine Molenaar, Gertjan Biasino and Nikola Knezevic.